What is the most famous painting in the world? OK, there might be a few. And many of them have been around for quite some time and their likeness is available in public domain. If an artist has been looking down from the heavens above for over 100 years, we know it's OK to use their works...in our work. 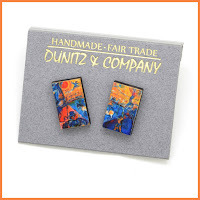 So as it is, Dunitz & Company has launched a new laser cut fair trade jewelry collection this season. I actually test marketed my concept at the recent Museum Store Association meeting in Washington DC. And the feedback was quite encouraging. Mona Lisa was smiling. The most famous painting? It might be Mona Lisa. 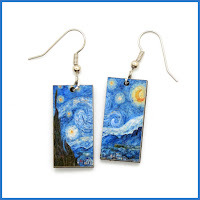 But it sure seems Van Gogh's Starry Night will give that girl a run for her money. Just sayin'. 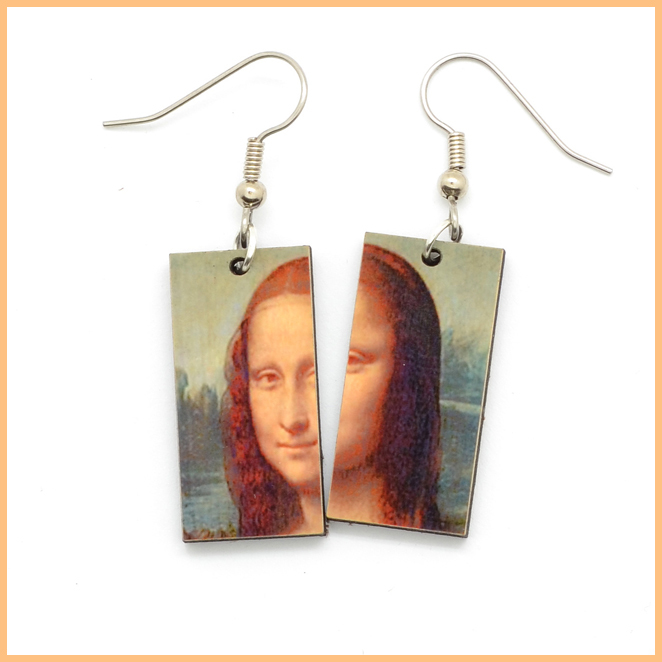 And I was thrilled that the museum shop buyers loved the way I split many famous images for left ear and right ear views. 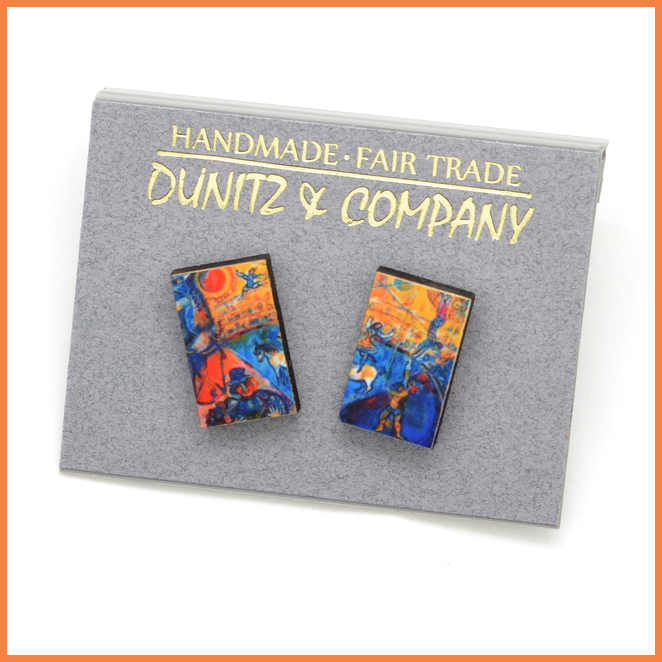 For years, it has seemed as if sales of our beaded studs and fused glass studs cover our office rent. We're always packing these little things by the dozens and dozens. Punch line. I decided these famous images in art should also be offered as stud earrings. Would you wear these? Does this image ring a bell with you? The Circus Horse by Marc Chagall. I'm almost certain my aunt gifted me the book, "Marc Chagall Life and Work", when I turned 11 or 12. That book must weigh 12 pounds. I still have it. Not into European art? Our debut also includes images from famous Japanese artists. Kitagawa Utamaro is one of my favorites. 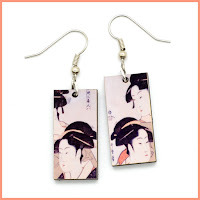 I fell in love with his work while studying Ukiyo-e wood block prints in a senior seminar at the University of Michigan. Did you know I majored in History of Art? #goblue (Had to do that!) Would you wear Three Beauties on your earlobes?